The most beautiful collection of hand crafted wooden products you will find anywhere. From Bowls to Pens - We have a wide selection of Hand Crafted Wood Products. 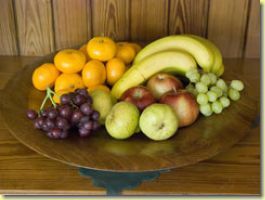 Whether you are looking for something beautiful and unusual to enhance your home, or a gift that will give lasting pleasure, we have a variety of wooden hand crafted items to suit your requirements. 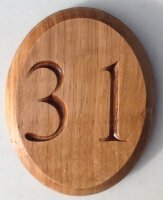 Each Item is individual, created and hand crafted from unusual and exotic woods from all over the world and comes with it's own limited edition number; making it the perfect gift for that special occasion or for you to enjoy in your own home. 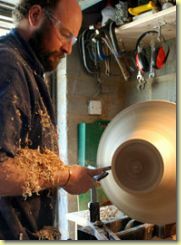 With over 20 years experience of working with wood; traditional skills and techniques are employed to create truly unique wood items including bowls, chargers, trinket dishes, lamps and both modern and traditional games. 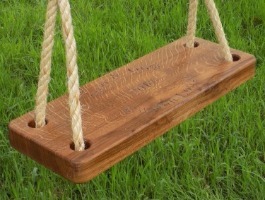 New to our range by popular demand this solid oak swing seat comes with up to 3 lines of text so you can personalise the seat in any way with Names, Dates or Phrases. Our seat comes with a standard 2.5 metre drop on either side with the 24 mm natural rope being eye spliced onto the seat. Our standard seat is 600mm by 225mm and 45mm thick with all corners and edges rounded off. Please contact me should you require a different seat size or rope length. Woodcrafter Paul Williams was being driven barking mad by dog bowls that tipped over at the merest sniff from his dog Jasper. 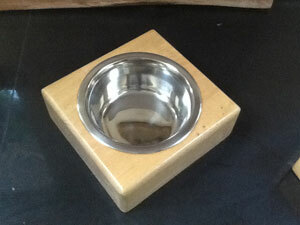 So he decided to solve the problem by creating a solid wooden stand into which a dog bowl snugly fitted. Paul is initially launching three sizes crafted from Norfolk Oak, which come complete with a dishwasher safe stainless steel bowl. The small size is ideal for a small dog, but works equally as well for cats too and comes in a choice of either a single or twin bowl. The medium and large sizes are great for bigger dogs, but also work for establishments like pubs and restaurants who welcome canine companions. 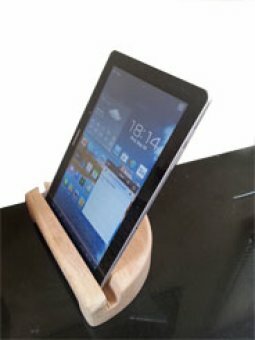 The Wooden iPad Amplifier stand, is a stylish and convenient way to watch videos, use in your kitchen to view recipes, as a photo slideshow frame or store your tablet whilst charging. Individual commissions along with enquiries from the trade are welcome. The cost includes a maximum of 8 numbers or letters of a suitable size for the space available. Any additional letters or numbers are at a cost of £1.25 each. Double sided signs can be hand crafted for a cost of 75% of the original side. The Royal Norfolk Agriculture Association (RNAA) and The Royal Norfolk Show Collection. We are delighted to have been asked to work with the RNAA to offer their members a selection of New RNAA and Royal Norfolk Show merchandise. A percentage of all sales are being donated to the RNAA. 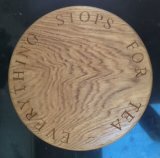 The 'Everything Stops For Tea' board is available to order. Broads wood craftsman Paul Williams is opening his studio door to visitors this spring - as part of his vision to make arts and crafts a key part of the tourism mix. Based in the Norfolk Broads National Park, Paul's work uses traditional woodworking craftsmanship that goes back generations. 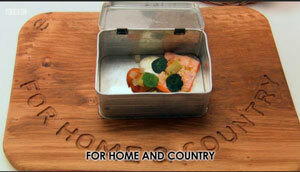 BBC's Great British Menu. This board was made for Richard Bainbridge who had two dishes in the Banquet. A pair of Boards for the London House Restaurant owned by Gordon Ramsay. They measure 109cm x 44cm standing on 18cm legs.